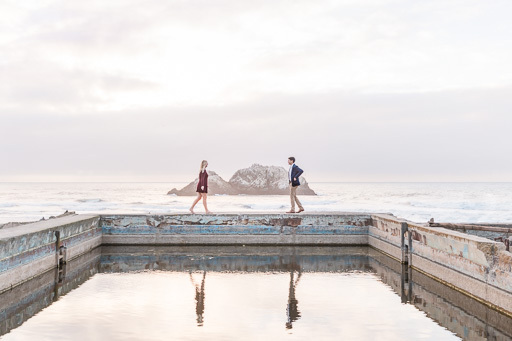 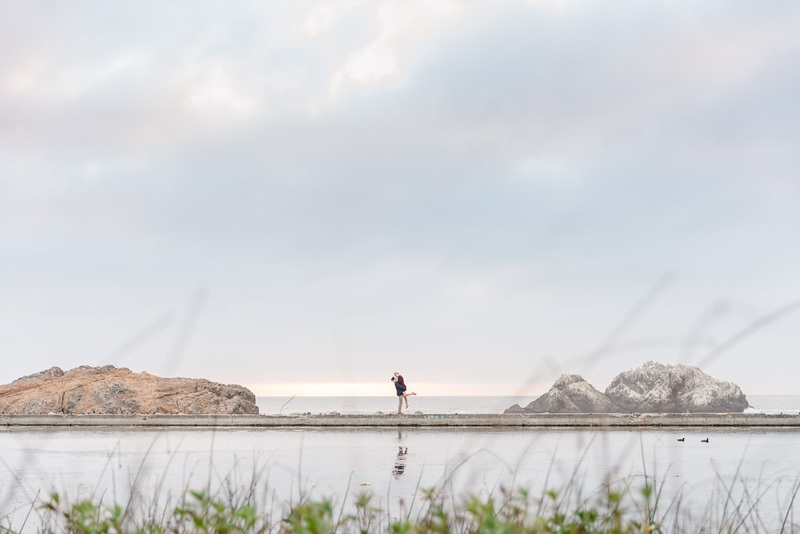 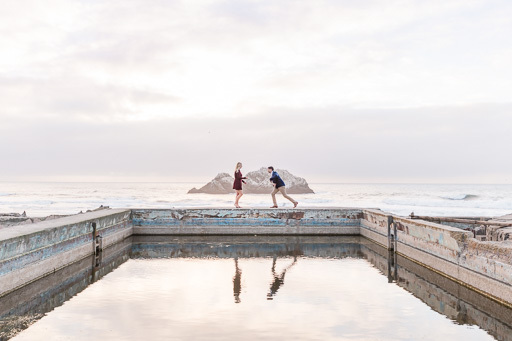 Sutro Baths is, by far, our most popular location for engagement photos. 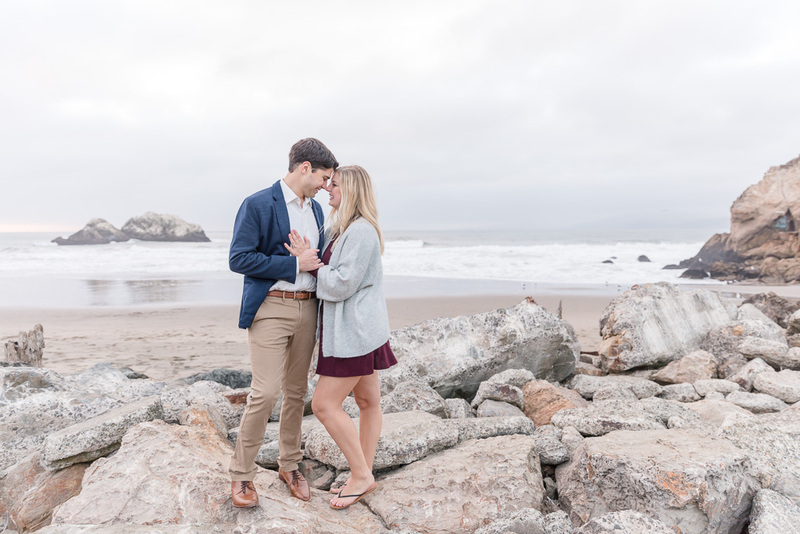 But not so much for proposals, and for good reason — logistically it’s quite a bit more complicated than other San Francisco locations, and while that’s not really an issue with normal photo shoots, surprise proposals are special in that we can’t interact with our couple and guide them. 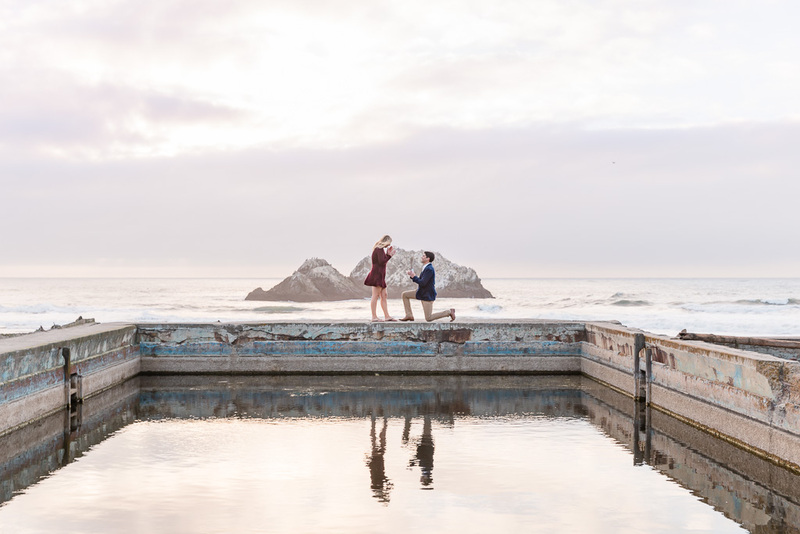 So I was nervously excited when I talked with Brian, who had looked at a lot of potential spots to pop the big question and settled on Sutro Baths for his proposal. 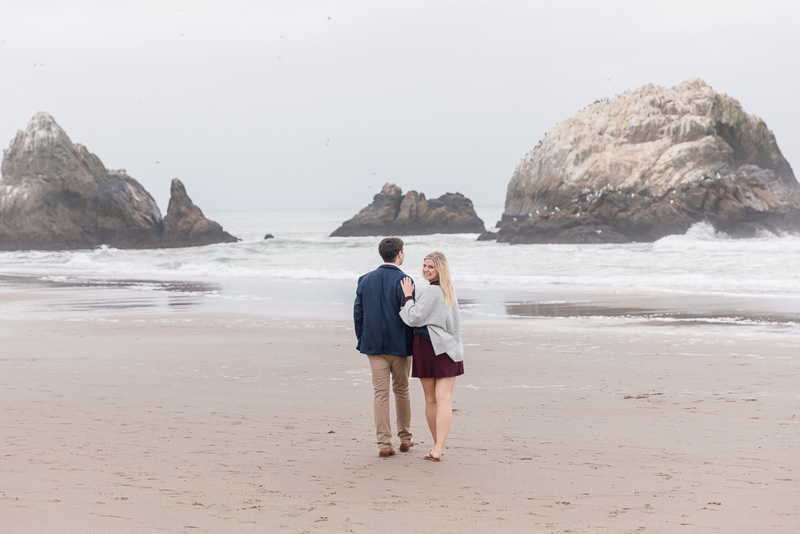 We went over all the things that could go wrong… like the area always being totally packed, and the narrow, rocky walkways with steep drops (hold that ring real tight!!). 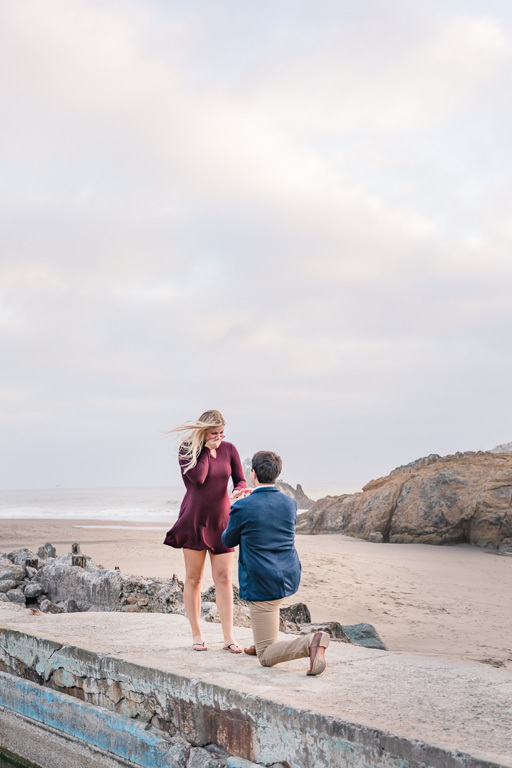 I was really happy he decided to go ahead with it! 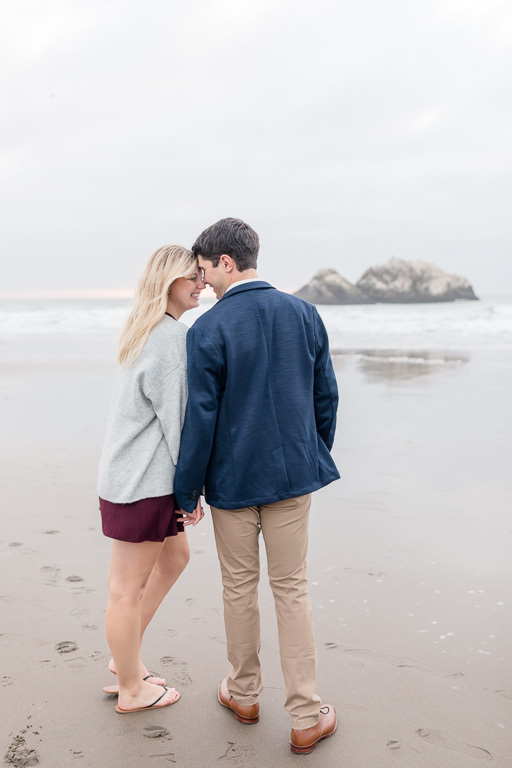 When the day of their proposal (which was also, not coincidentally, their 8-year anniversary!) 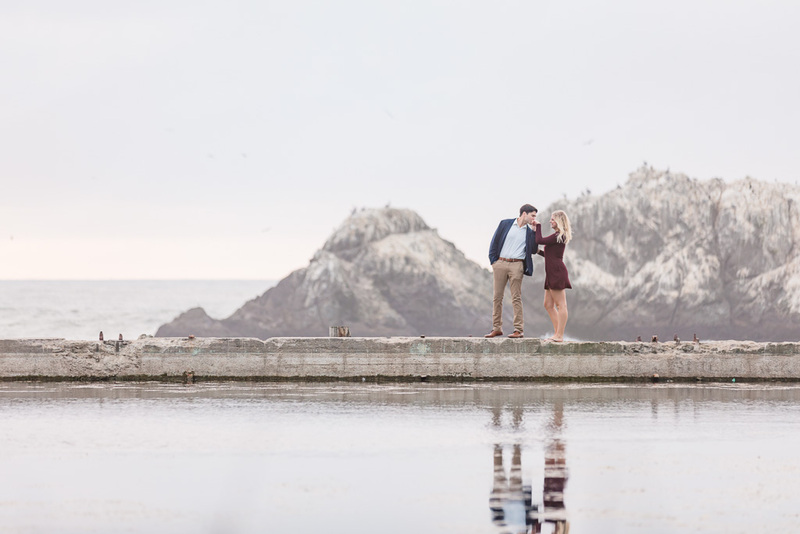 came, there were already multiple photo shoots going on at that exact spot. 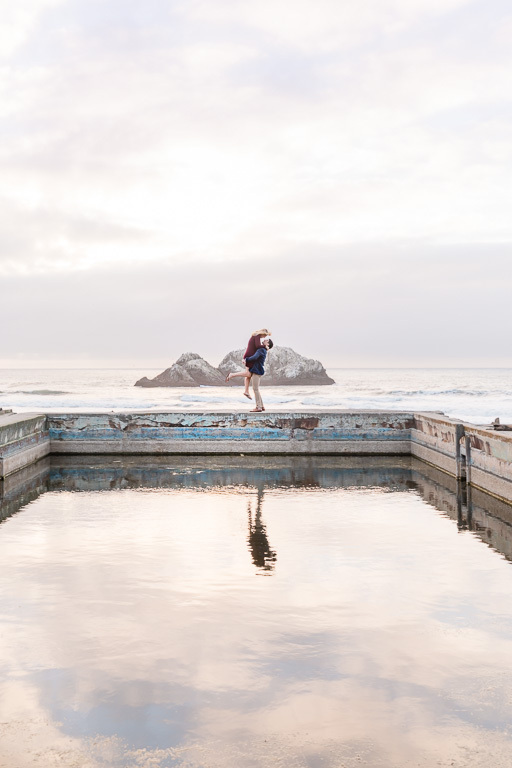 That’s just how it goes at Sutro Baths of course, but since we arrived early, we had already quietly talked to everyone there and they all knew what was about to happen. 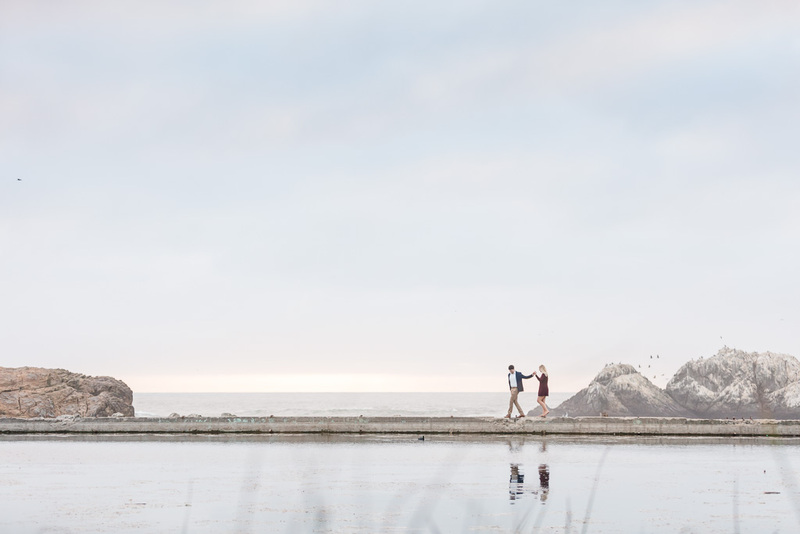 As Brian & Ashlea walked over, Brian came up to a random guy with a camera (that’s me!) 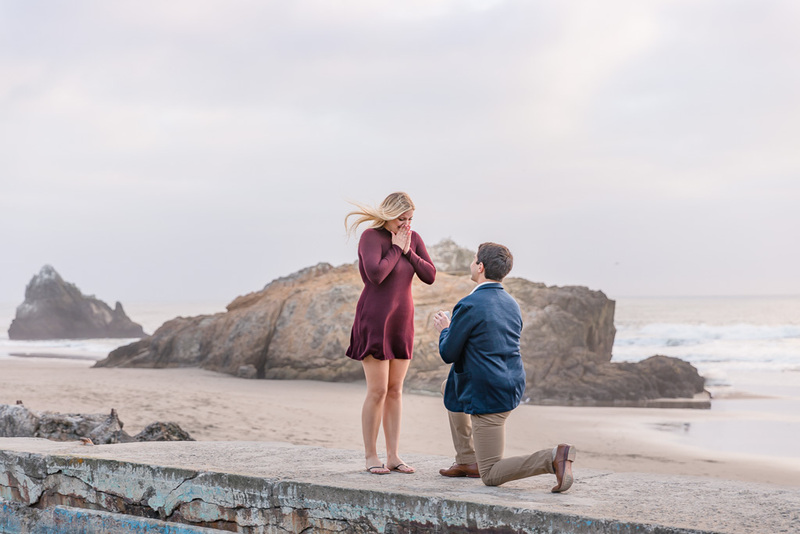 and followed our script perfectly, asking if I could take a photo of him and Ashlea. 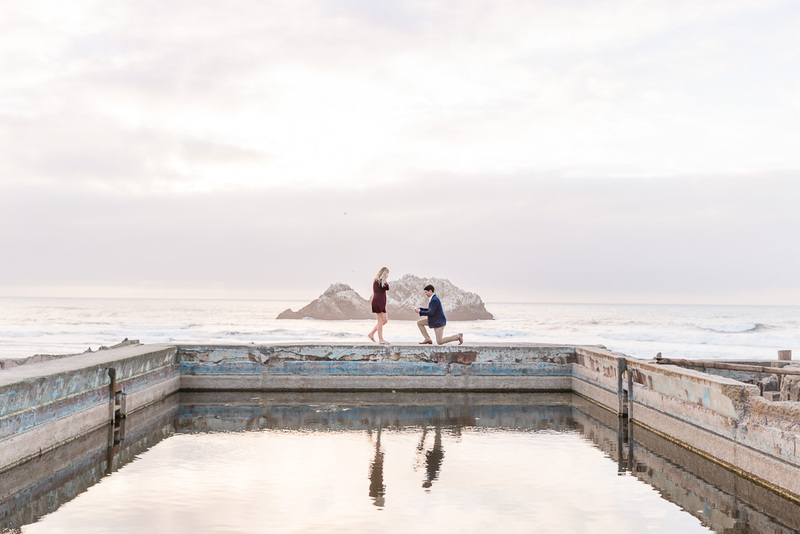 Yes random tourist stranger, I’d be happy to! 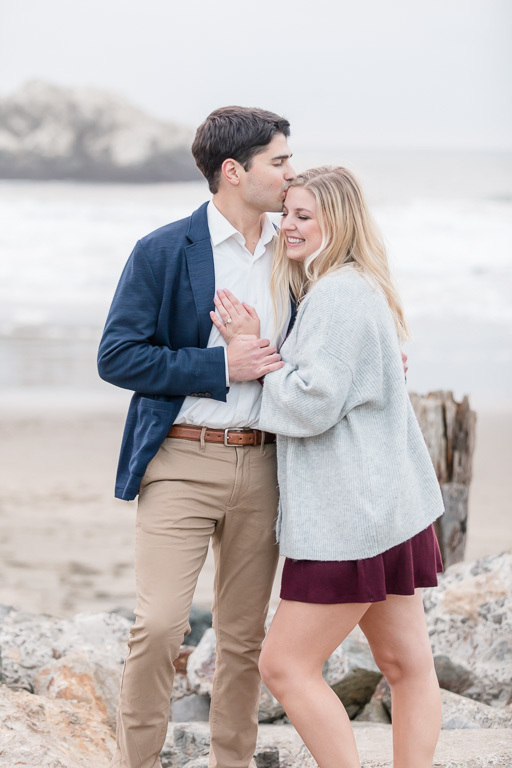 Congrats to Brian & Ashlea!